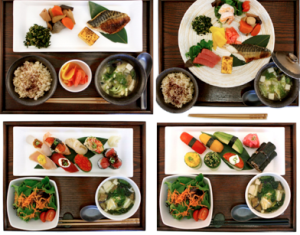 Genji, a premier provider of sushi in the U.S. & the U.K, is now serving breakfast, in addition to lunch and dinner, at the Whole Foods in NYC’s Columbus Circle. The company has sushi counters in most Whole Foods Market stores, but breakfast is only served in their Time Warner store. Check it out between 9 a.m. to 11 a.m. any morning. You can enjoy an authentic Japanese breakfast, complete with a steaming bowl of miso soup, some dusky kale with sesame seeds, root vegetables, a piece of classic tamago (egg) omelet, grilled fish (either mackerel or salmon), steamed rice and a cluster of tangy pickles that are all artistically plated and oh-so-delicious. So, if you happen to be in the Big Apple, stop by the Whole Foods at 10 Columbus Circle. Tomato and Pear Festival at Linvilla Orchards! 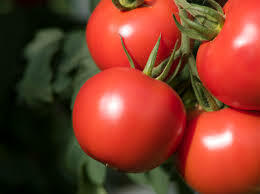 Whether you say “tomato” or “tamahto,” they’re delicious either way! Pick your own juicy pears and tomatoes at Linvilla Orchards this Saturday, August 29, for their annual Tomato and Pear Festival. Now’s your chance to get outside in the nice weather before the craziness of back-to-school and the school year begins. The festival will be hosted by Silly Joe and there will be plenty of activities for the kids, including Meet the Beekeeper, Jungle John, pony rides, and facepainting! Stick around for a special performance by the We Kids Rock Band! The festival will begin at 8 a.m. and continue until dusk. Linvilla Orchards is located at 137 Knowlton Road, Media, PA, 19063. 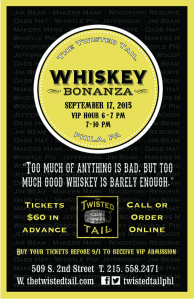 Can’t make it out this weekend? Keep an eye out for the approaching fall picking season! Check out more information about the opening of the pick your own apples season here. Farm and Fisherman Tavern + Market, Best Kid-Friendly Restaurant, was serving corn three ways; corn pudding, charred corn, and popcorn. 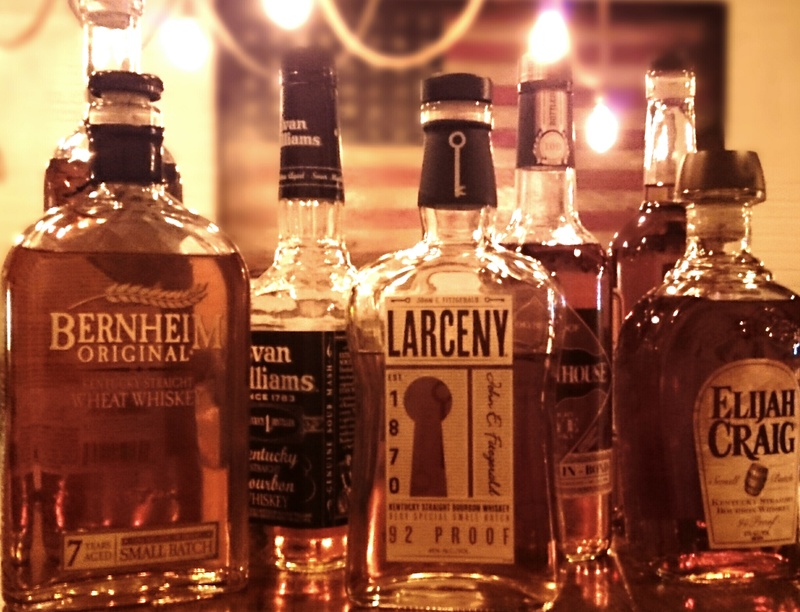 You can find this farm-to-table BYOB at two locations, Washington Square West and Cherry Hill. Kensington Quarters, Best Butcher Shop, featured a pork head cheese that was an instant hit. In addition to a butcher shop, KQ is also a restaurant and is open for dinner Tuesday – Sunday, with a can’t-miss brunch Sunday morning. 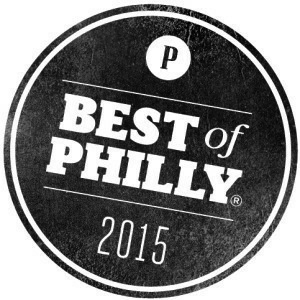 Laurel, Best Restaurant, stole the show with their caramelized white chocolate pudding. Reservations are hard to come by at this East Passyunk spot, but they often alert their Twitter followers to last minute cancelations (@LaurelEPX). 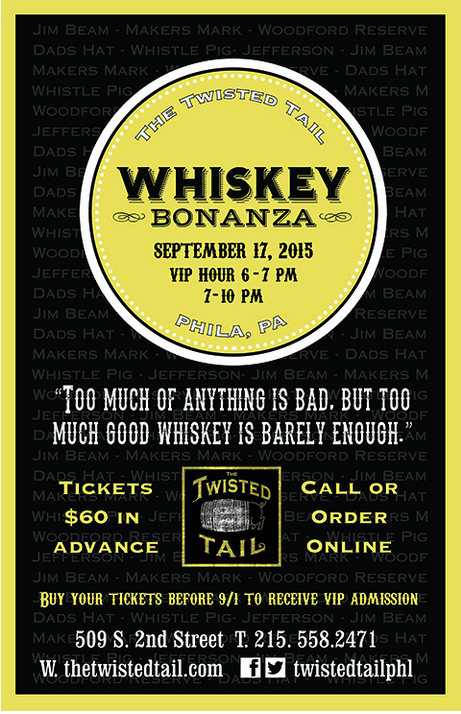 Thank you Philly Mag for such a fun night, we’re already counting down to next year’s party! Grab your red-checkered blanket, woven basket, and a bottle of wine then get to pickin’ at your favorite park or the comfort of your own backyard. Take your crabs out on the water for a calm cruise around Baltimore’s harbor. Enjoy the sun, water, and a fresh lunch with family and friends. This one is for the daredevils who don’t mind getting messy on the first date. A candlelit dinner with the tastiest crabs on the Easy Coast is sure to make a lasting impression. Curbside Crabs is available now until Labor Day with a minimum order of six crabs for pickup. 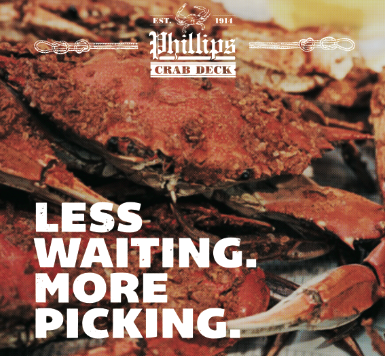 For more information call 410.685.6600 or visit www.PhillipsSeafood.com. Happy July! What are your plans for the Fourth this year? Whether you’re joining in on Philly’s festivities or having a chill backyard barbecue, there’s a ton to choose from here in the city where it all began! The celebration is going on all week and Friday is when the party really starts, with the (free!) Liberty Block Party on 5th and 6th streets between Market and Chestnut. The Block Party will run from 1pm until 8pm Friday and feature live music and food. After that, head over to the POPS! on Independence, which is a free patriotic concert with tons of talented performers. POPS! will be at 6th and Chestnut, right on the steps of Independence Hall. Kick off the holiday on Saturday with the annual Independence Day Parade throughout Philly’s Historic district, which will begin at Independence Hall and continue down Market Street to the Delaware River. From 12pm-7pm, Party on the Parkway with fellow Philadelphians and enjoy food, free music and tons of games and entertainment. At 7pm, catch The Roots and other artists for a highly anticipated concert, which will finish off with the best fireworks show around. 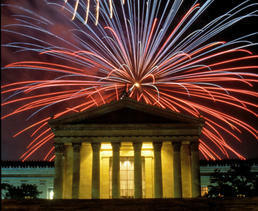 For a complete list of the weekend’s events, check out Visit Philly’s list here. We’re excited to announce that Fu-Wah Mini Market, located in University City, has a new logo! Now for the first time since opening their doors in 1982, Fu-Wah will have a dedicated logo to represent their company. For over 30 years, Fu-Wah has remained a family-run mini market and deli in the University City neighborhood. While the surroundings may change, their commitment to serving quality products has not. Home to the Original Tofu Banh Mi, Fu-Wah provides freshly made deli items such as bold Banh Mi styles and classic hoagies and sandwiches. On the shelves you’ll find a variety of specialty and hard-to-find Asian products as well as the items on your daily shopping list. Call ahead (215-729-2993) for large orders or stop by to pick up a sandwich. Hai Street Kitchen & Co. has been on a hot streak so far in 2015. From the spiced-up celebration of Cinco De Mayo with HSKC’s signature wasabi guac for free, or the return of the Screamin’ Tuna kicked up a notch with diced jalapenos and spicy Korean pepper gochujang sauce, Hai Street has really turned up the heat this summer. Now it’s time to step back and cool down a bit. And what a better way than with their Sweet Green Iced Tea? In celebration of National Iced Tea Day on Wednesday, June 10, 2015, HSKC will be giving them out for FREE when you #GetHai with the purchase of a roll, bowl, or salad. Their refreshing matcha green tea blend is not to missed. 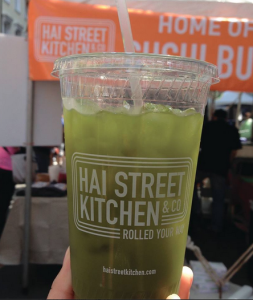 For more information about Hai Street Kitchen & Co., and to sign up for their mailing list for exclusive news and deals, please check out their website here. HSKC University City is located at 125 S. 40th Street, Philadelphia, PA 19104, and is open 11 a.m. – ­10 p.m. daily. HSKC Rittenhouse is located at 32 S. 18th Street, Philadelphia, PA 19103, and is open 11 a.m. – ­9 p.m. Mon­ – Sat and 11 a.m. – ­7 p.m. on Sunday. This weekend, Linvilla kicks off Pick Your Own Season with their annual Strawberry Festival. On Saturday, June 6, 2015 the fields will be open to pick your own fresh, juicy strawberries. It’s a fun-filled day to enjoy with family and friends as you experience our prince and princess themed activities. 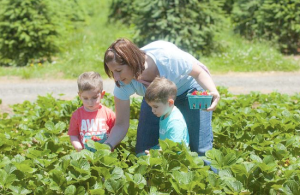 There will be contests, story time, a rocking performance by Makin’ Music, and the unveiling of Delaware Valley’s largest strawberry shortcake, not to mention all of Linvilla’s exciting regular attractions! Dress up and enjoy the fun! While the kids are enjoying the festivities, everyone can join Jammin’ with Judi to learn how to keep those beautiful berries preserved, as well as her own secrets to making the best jam. It’s going to be an amazing summer of picking, from fresh blueberries, raspberries, peaches, tomatoes, pears, and corn! Find the summer festival schedule here. Linvilla Orchards is located at 137 West Knowlton Road in Media PA, 19063. The rain date will be Sunday, June 7, 2015. Entertainment goes from 11 a.m. – 4 p.m, but picking starts at 8 a.m. and continues until dusk! Please visit http://www.linvilla.com for more information.